The Shechina is revealed by four colors of the pure side. The white comes from Chessed, red from Gevurah, green from the central column, Tiferet. Black comes from Binah that is the supernal mother and is also the color of the lower Shechina that received it from Binah, the supernal mother. Keter is the connection to the Endless that is beyond our grasp and it has no color. The ‘inner’ colors of pure or impure aspects of a person are shown on his face. Colors represent vibration of lights from different Sefirot. A prism is a tool to reveal the 7 vibrations of light that we see as colors. The colors are Red, Orange, Yellow, Green, Blue, Indigo and Violet. The higher vibration of light is in Malchut as it is more condensed (as in condensed matter). They all come from ‘invisible’ light and are revealed through the prism that ‘forces’ the light to be expressed on different levels/frequencies. Each color is a blend of the ‘neighboring color. The middle one, that is green, is a mix of the Yellow and Blue from both sides. The red and the yellow makes orange, the blue and violet make Indigo. The color of Malchut is Violet, ארגמן (pronounced ‘Argaman’) . We learned that the higher vibration is aspect of Malchut as the light is ‘trapped’ in a greater desire of expression. The violet is closer to the ground color of the Indigo for the water, Blue for the air (that is why the sky is blue). Yellow is for the radiation of light that comes from the sun. Orange is the fire of the sun and Red is the aspect of transformation of pure light, spiritual, into the physical realm. This is the reason why the sun that the scientists say is 4.5 billion years old, produces so much energy without being consumed. Can you definitely say that it is a body of mater? Scientists say that the Sun produces energy by the nuclear fusion of hydrogen into helium in its core, Hydrogen has atomic number of 1 and when they are fused together they become Helium that has atomic number of two. Hydrogen and helium are the first two elements in the periodic table. The sun is the source of light energy of life that is generated from one single proton. There is an amazing balance in the nuclear fusion that is going on inside the sun’s core. The root is a simple 1, the fusion of 1+1 makes 2 and together 3. This is the aspect of the top three sefirot of Chokmah, Binah and da’at that brings down energy of life to the seven sefirot below that is revealed when we use the test of the prism. After studying this part of the Zohar I understood the connection of the sun to light and life and also why it is the aspect of Zeir Anpin. This was a ‘wow’ moment for me and I thank God and Rabbi Shimon for opening this window of understanding for us. Now we understand this verse better. 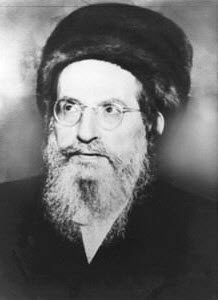 We also understand why Rabbi Shimon was also called ‘Sinai’ and why when he chose to leave the world, fire surrounded his house.